I even started a third novel based on a promising outline I made. This one is not in the same vein as my Jim Travels series, but a story of an assassin who has entire worlds chasing after him after a botched job. The outline and broad strokes look good, all I need to do is put it down on paper. Put it down on paper. I’ve been attempting that for months now. Getting an average of 300 words per week is pathetic, per my standards. I need to find the time to punch out 1500 words at the minimum. But, there’s good news. From a Black Friday buying spree, we are the proud owners of a larger 60” TV for the man-cave. And with that new purchase comes more opportunities. And from those opportunities come added channels, like NetFlix and Amazon. Following me here?? From Amazon, I discovered new and interesting science fiction programs that sparked my creative side again. And what would happen that I would check out the Syfy channel and find The Expanse. A truly wonderful television program that I actually look forward to watching every week! A rarity for me even with recordable programming. So, what is The Expanse? It’s a space opera set 200 years in to the future when the asteroid belt has been populated, along with Earth and Mars. A small crew from a decrepit ice hauling ship gets their craft blown out from underneath them and they must seek out the perpetrators in a “borrowed” armed Martian frigate. Meanwhile, another key to this mystery lies in the hands of a police detective on the dwarf planet Ceres. Once both teams converge will the true plan be brought to light? I’ve gotten inspiration to write because my storylines are similar to the ones in The Expanse. Not in the writing, but in the tone. Space is a lonely expanse that will do all it can to kill you, and any spacefarers traveling in its vacuum need to have a flinty toughness about them. I’m reading the novels that inspired the series and finding joy in seeing how this story plays out. I want to do the same justice to my novels as James S. A. Corey did for the first novel of the series, Leviathan Wakes. I’m considering using my pen name for future novels, essays, whatever. The reason is that while I’m active on social media for my family and friend activities – and I’m active professionally via LinkedIn, work conferences, etc, I still like to keep my writing as an activity onto itself and as a personal hobby. In the new job I have (three months in already), I have found out one of my co-workers knows I’ve written a book and possibly may know I’m trying to get it published. Ordinarily, it wouldn’t be that big of a deal, but I have a little voice in my head urging me to keep my professional life separate from my personal activities. Kinda like having a “secret life” that your co-workers and acquaintances would never guess you have. So, why am I reluctant to shift? Well, it’s pressure I’m getting from certain folks asking why would I ever depart a cool and unique name like Indulis Ievans and go to Eric Stevens? Keep the uniqueness, they tell me. The problem is that I’m the only person in the f’n world with this name. SO it’s not that hard to blend in the background if you run a Google search on my name. I think it’s easier to hide on the Internet if I were Nicholas Flamel, if you ask me. I don’t think my writing would affect my professional career at all. I’m an IT Project Manager and I write Science Fiction, so a tell-all book in the same vein like Anthony Bourdain’s Kitchen Confidential would never happen. Unless my current employer decides to undergo a shift to Interplanetary cargo shipping. That would be cool, to say the least. But unlikely considering we can barely get to the ISS nowadays. I’m still mulling this over. In the meantime, I’ll have to see if the current websites hosting my e-book would allow for a name change. I reckon it’s easier than print publishing, but you never know. Sorry for the lapse in updates. As it states on my tagline – Work and Family took up quite a bit of my time (in a good way) but the Writing has also suffered a bit. Not to mention updates to this site. Good news? I have a new job with a major airline in downtown Chicago and it looks as if I’ll be here for a long time as a contractor. Bad news? I’m in a writer’s block to figure out how to advance the fourth chapter in my second book. Hint: My entire plotline is exciting but I need to figure out how to make cedar chips into a weapon to make a sub-story move forward. 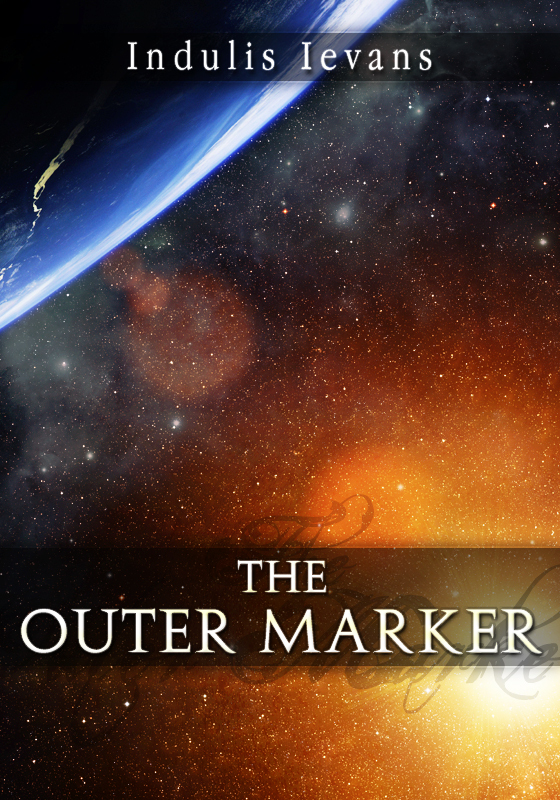 As for e-book sales, I’m still publishing on Smashwords and I’ve lately added The Outer Marker to BookBaby, which distributes to Europe, India and parts of Asia. I have NO idea on e-book distribution trends in those areas so it will be interesting to determine how sales will go in those parts. I have two challenges regarding physical publishing is now I don’t even receive rejections from potential agents and I’m knee deep in the quagmire that is ISBN numbers issuance. I still send out query letters to potential agents to be represented, but the last six or so letters I’ve sent don’t even generate a No response. Is this apathy on the agent’s part or has my quest for an agents become stale in some way. I am about three-quarters through my original list of potential sci-fi agents, so I may send out the remaining query letters and perhaps look elsewhere. The ISBN thing is puzzling to me. Even though I have an ISBN number for my e-book, I am really having a hard time locating the right source to get an ISBN number for a physical book. My wife wants to get the book self-published, but this stupid little detail is holding things up. It’s funny how something so small like a group of numbers can be so difficult to acquire. So, that’s all I have for now. I’ll continue writing on the challenges of novice writing and distribution in order to help a fellow author out there. Have a great and fulfilling 2015! We’re heading up to Michigan this weekend to celebrate the Summer Solstice. The solstice signifies the longest day of summer and has deep roots in pagan religions and European cultural traditions. Known as “Jani” to Latvians in reference to the Name’s Day tradition, this day holds special significance to the Baltic and Scandinavian cultures. Some of the activities are singing traditional “Jani” songs, drinking strong homebrew beer, and eating “Janu siers” which is cheese with caraway seeds. Given enough beer and bravery, some brave souls jump over the campfire to make a new start for the next year. As you can see in the picture, not that fire. Another Latvian tradition is to take your sweetie and lead them to a quiet spot in order to seek out “Papardes Zieds” which translates roughly to fern flowers. (Like snipes, it’s highly unlikely you’ll ever find them. But you get the idea) And if you’re unable to stay awake for the entire night and not see the next day’s sunrise, then it’s said you will sleep all throughout the next year. I understand others may not understand the significance of this holiday and even use it in a derogatory manner to mean it’s something for pagans, Wiccans, and hippies. Does this mean my family and I will be running through the woods hugging a many trees to worship the sun, grass or dirt Gods? No. We use this night to meet family and friends and to catch up on old times. I have many friends who will make the drive tonight and tomorrow to Three Rivers. So I’ll get my cooler ready with some cold brews and cheese and make sure I get enough rest for the long night ahead! Earlier this week while eating lunch, I was flipping through a Time magazine and wound up at the section that reviewed the upcoming summer movies. Along with the standard fare of action films (Transformers XXVII) , period pieces (The Immigrant) and kids films (How to Train Your Dragon 2), I read an article of a new genre of films that are gaining ground – Science Fiction based films with a strong environmental message. Or as they call it – Cli-Fi. •	Monsters, weird mutations, zombies – They all started by the fear of planetary harm through mismanagement. Godzilla is being rebooted this summer, and guess what? What was earlier a nuclear test gone horribly wrong (See ya Tokyo), now its chemical waste gone horribly wrong (See ya San Francisco). •	Traveling to new planets because we trashed the old one – This one has been around forever because it’s a great storyline. It not only tells a story of exploration (Lewis and Clark, Star Trek) but it also forces your story character to find a new home because they can’t go back home (Lost in Space, some aspects of Avatar). If you can’t go home again, the story must have a happy ending and the reader gets to follow the saga of what it’s like to have to build a community from nothing at all. So I intend on investigating this exiting medium when I’m writing to see if I can add it to my storyline. I think of Hoban Washburne and why he became a pilot. It seems his planet’s atmosphere was so polluted he couldn’t see through it. So he became a pilot to climb out of his planet’s atmosphere to eventually become the pilot of Serenity. For other writers this similar story line provides endless opportunities for their characters while promoting awareness to the reader at the same time. I’ve been delinquent in sending out another query letter to another literary agent on my list of 60 or so. Work has kept me busy, kids have kept me busier, but I know I need to get another email or printed query letter out there. If you’re following the same path as I am, then you’ll also know the feeling of monotony when these letters get sent. Fortunately, I’m buoyed by the fact that many other debut authors have faced a similar situation. Allow me to relay an uplifting story about an author who was acknowledged by her peers and the State of Illinois. I recently got a newspaper clipping from my mother-in-law which had a great article about Joanne Zienty, a librarian at the Forest School library in Des Plaines, IL. She has been writing her whole life and recently began shopping for a publisher for her book “The Things We Save” without much success. Her peers submitted it for the Soon to be Famous Illinois Author award run by an organization named RAILS (Reaching Across Illinois Library System). So, for an award fitting for National Library Week, Joanne received the first prize award at an April 16th ceremony in Burr Ridge. I think it’s great that someone who has spent her whole life writing and working as a librarian to further advance her love for the written word can receive such an awesome acknowledgement. I also feel hopeful of my own chances when I read in another article that she had shopped this same manuscript to over 30 literary agents before going into self-publishing. One may think of giving up and having doubts about their work. I can now include Joanne and her novel as inspiration that not everyone can see the gem you’re holding in those pages you’ve worked on for so long. I’m fortunate to have friends in many different skill sets and areas of business. Too bad I have NO friends in the publishing business. Haha But that’s why I write this blog, to eventually catch the eye of someone in print publishing if I don’t accomplish that first. As I talk about friends with different backgrounds, one is a friend and husband of my wife’s best friend. Tom is a graphic designer who happens to own a couple of great GD storefronts in Houston and is always willing to help out with any sort of graphic design job. 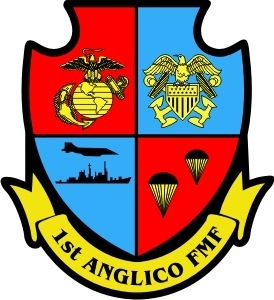 One item I have for him is to put my unit’s old logo on a couple of Polo shirts to which I intend on sending some copies to members of the old unit. But then came my turn to speak, I told him I was unsure about any next steps without due process. When asked, I explained I have an ISBN number to sell on Smashwords, but it’s an electronic ISBN number. As I understand it, there a whole different process to request a print ISBN number before we can even proceed with print copies. Also, I feel pretty sure I need to engage my lawyers (or someone familiar with literary rights) to go and get my work copyrighted. I felt bad telling my excited wife and willing friend that we can storm head-long into print publishing because he can generate some copies at a moment’s notice. If there are any thoughts to this or any resources, I’d be willing to listen. In the meantime, I suppose I’ll have to find whatever free time I have from working and parenting to research this item before I can get any actual books made. Oh, and in case anyone is keeping up with past posts, the hard copy query letter I mentioned in the February 25th post came back via SASE as a No. So, in the spirit of keeping the old-school way alive, the next query letter I will send will be a printed copy and sent via Snail Mail. Go Blackhawks!! It’s my birthday today, so give me a win against the Blues in the payoffs this week as a present!